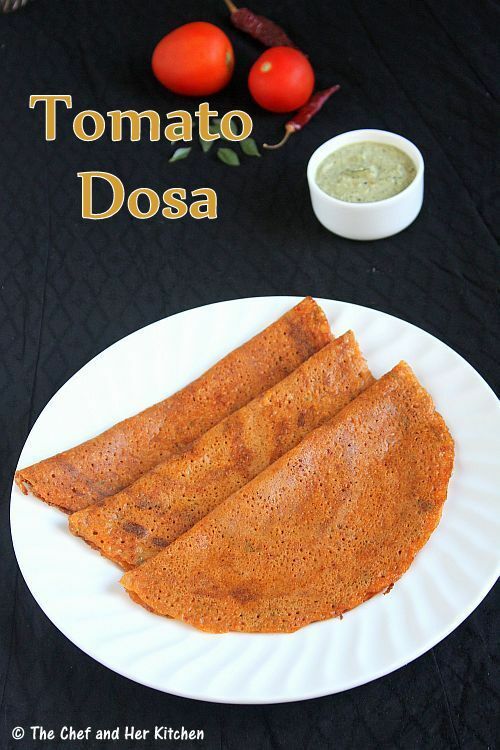 I have posted various Dosa recipes in my blog and most of them were appreciated.I also received several requests for various dosa varieties.Though I prepare various Dosa varieties regularly I could not post many of them earlier.Today, I am posting an easy dosa recipe - Tomato dosa using the dosa batter as against the instant tomato dosa batter.I plan to post that version sometime later. 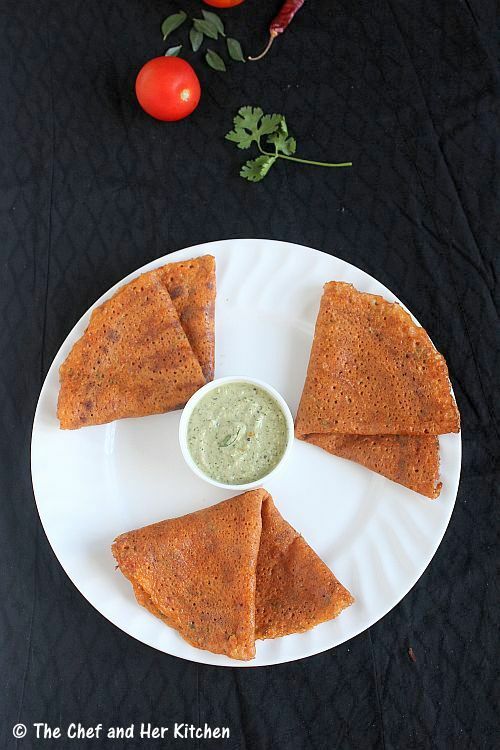 It is a nice variation to the regular dosa and is quite simple to prepare.It is definitely a treat to the taste buds due to its tangy and spicy taste.You can try preparing this dosa for your kids as these look colorful and flavorful. 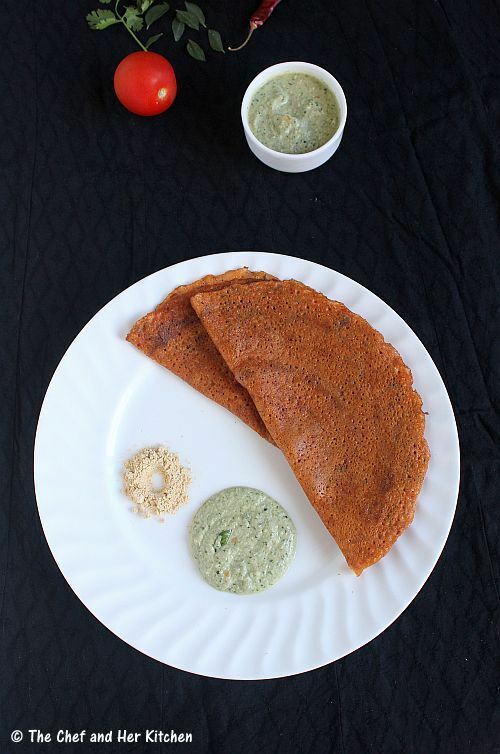 Check out some interesting and popular Dosa varieties in my blog. Heat a tsp of oil in a pan and add chopped tomatoes and fry them until they turn mushy.Add red chillies to it and mix well and let the mixture cool completely. Grind the tomato-red chili mixture with grated coconut,cumin seeds,asafoetida,curry leaves and salt to a very smooth paste.Add the required amount of salt while grinding as the dosa batter already has salt in it. Add the paste and chopped coriander leaves to the dosa batter and mix well. In a ladle add a pinch of cooking soda and a spoonful of water and mix well and this to the batter and mix nicely. Make the tawa ready for making dosa,keep the stove on medium flame and pour a ladle full of batter in the middle of the pan and spread in a circular motion to form a 9 " dosa and pour some oil/ghee (1 tbsp roughly) all over the edges and in the center cover it with a lid. After it is roasted for a minute remove the lid and keep the flame on HIGH and let it roast for another minute until it turns golden brown and crispy. Fold it into half and serve. Use sour variety of tomatoes,if the tomatoes are not sour add 1 tbsp tamarind pulp while grinding the tomato mixture. You can add 2-3 tbsp finely chopped onions to the batter and prepare like thick utappams. You can replace tomatoes with grated carrots or grated beetroots and follow the same process to make Carrot dosa or Beetroot dosa. 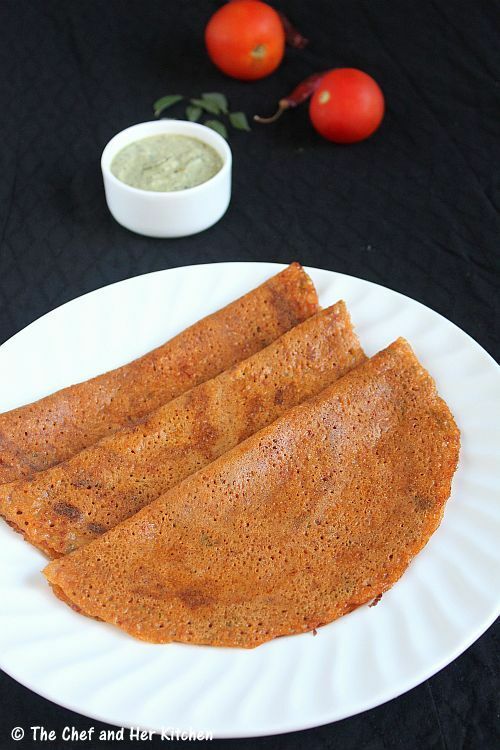 If you are preparing this dosa for kids,reduce the number of red chillies in the recipe. If you are interested you can check all my Dosa varieties here. Nice inviting pics and the dosa looks delicious. 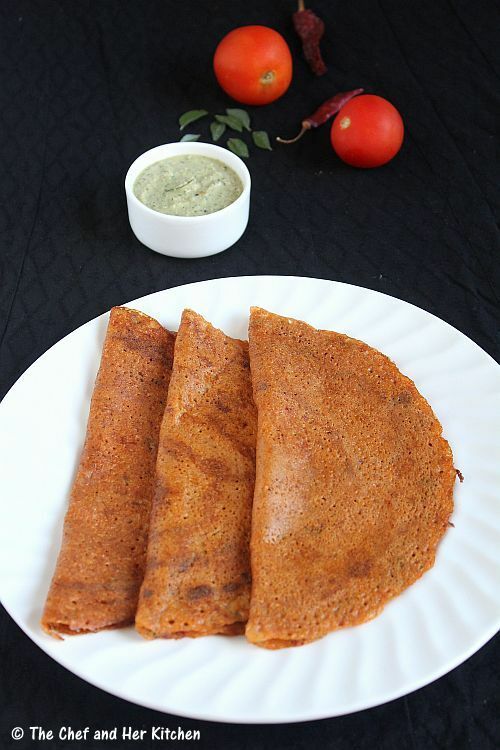 A nice variation to the plain dosa. Nice idea and the chutney looks yummy. Nice variety to the normal dosa, I guess can have it without any sides as this tomato coconut mix should be spicy enuf ! mouthwatering.. Looks delicious.. Awesome clicks too.. New one for me! 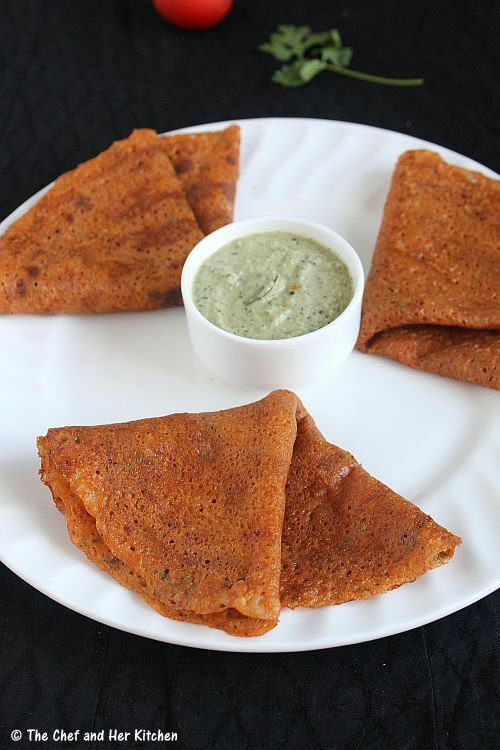 yumm...... on my list :D n trust me i just love dosas..